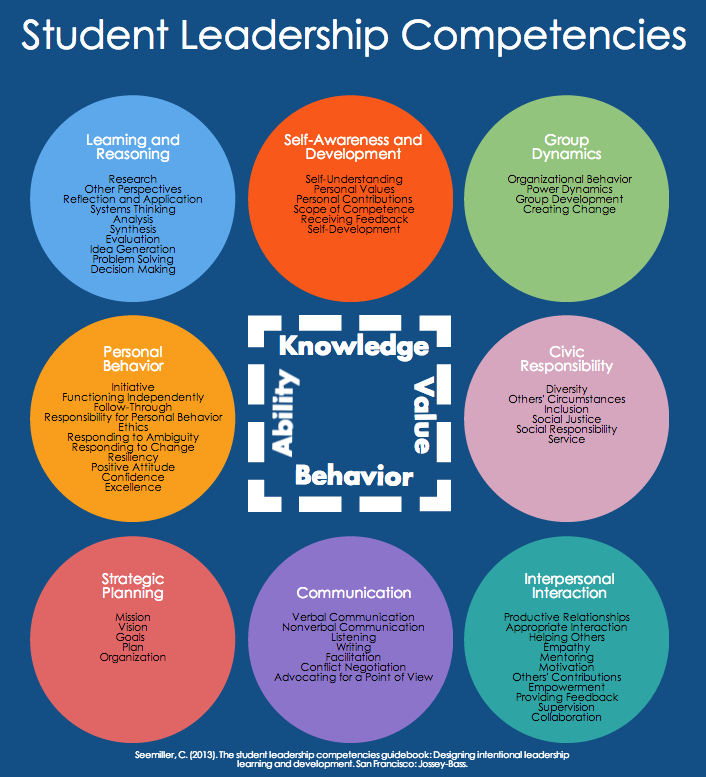 What are the Student Leadership Competencies? The SLCs are 60 leadership competencies derived from analyzing standards, models, and theories of leadership as well as the outcomes of all 522 accredited academic programs in higher education. The image below highlights all 60 competencies categorized by the 8 main clusters.